New Zealanders have a great relationship with sport: we play a diverse range, we watch even more from all over the world, and a good few of us like to take a punt on the results, too. Rugby League enthusiasts can enjoy plenty of betting action on the Kiwis and the regional teams in the New Zealand Rugby League, so it’s a popular choice. 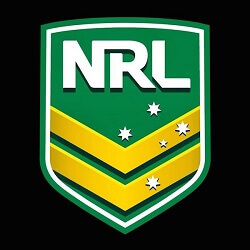 But with Australia offering lots more Rugby League close by, it’s not surprising that punters and players alike are as interested in Australia’s NRL as they are in the options the NZRL offers. The Auckland-based New Zealand Warriors play in the NRL, but their big-name signings like Isaac Luke and Roger Tuivasa-Sheck couldn’t prevent a disappointing 2016 season. Their finish at 10th out of 16, with 14 losses from 24 matches, made them a risky bet throughout the season. NRL fans that stuck with the Warriors through the Intrust Super Premiership NSW had better luck, however. Ryan Hoffman’s squad made it to the semi-finals of this regional competition, but then got squeezed out 22-18 by the Newtown Jets. 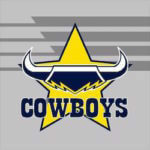 When the Melbourne Storm met the Cronulla-Sutherland Sharks for the 2016 NRL Grand Final on Sunday, October 2 at Sydney’s ANZ stadium, it came at the end of a season in which both teams had fought off stiff competition from the Canberra Raiders, the North Queensland Cowboys and the Brisbane Broncos. Paul Gallen’s Sharks opened the scoring eight minutes into the final with a penalty slotted by James Maloney. Gallen sent Ben Barba over for a try from a scrum move seven minutes later, and Maloney converted. After being 8-0 at half time, the Storm fought back under captain Cameron Smith. Tries from Jesse Bromwich and Will Chambers, both converted by Smith, put the Storm ahead 12-8 in the second half. A magnificent try from Andrew Fifita, again converted by Maloney, put the Sharks back on top at 14-12. Despite two strong chances in the final nine minutes, the Storm fluffed one and saw the other foiled by tenacious defence from the Sharks. The Cronulla side ended the day triumphant, to the delight of many New Zealand fans and punters. We’re looking forward to just as many tight NRL matches and betting opportunities in 2017.